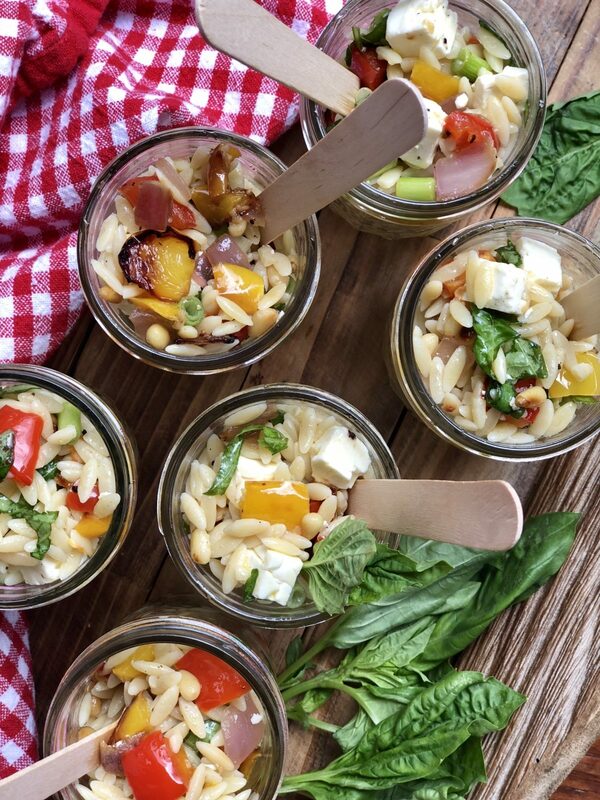 This Summer Orzo Salad will be the most popular dish on the table this season, guaranteed. Fresh, easy, and pretty enough for a party-this colorful salad is always on the top of my go-to recipes for summer meals. A few steps, and a handful of fresh ingredients from the farmers market will wow party guests or add a burst of flavor to any weekday lunch or dinner. Any recipe I can make in less than 30 minutes is one for me. First chop and roast red and yellow pepper, red onion and garlic until tender. Then simply take the cooked orzo pasta, lemon juice, olive oil, chopped green onions, basil, toasted pine nuts and mix in your roasted veggies in a large mixing bowl. I love how incredibly flavorful this salad is and how the lemon dressing brings out all of the fresh summer flavors. 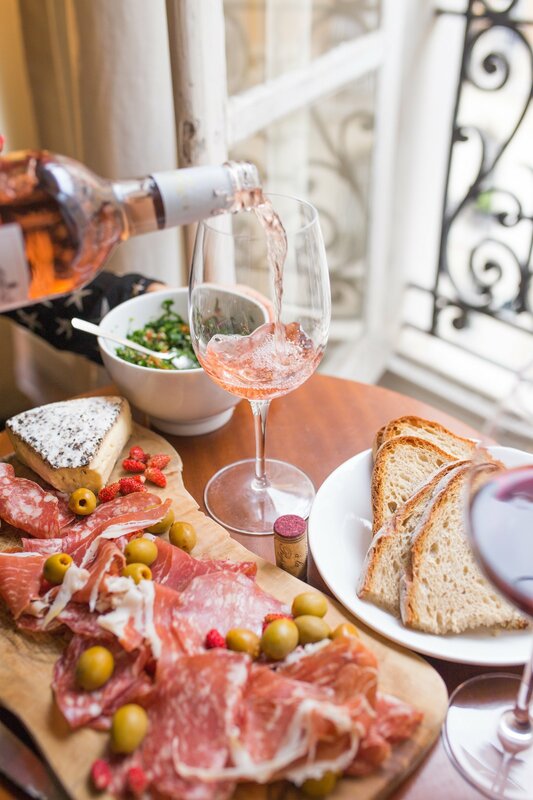 Of course, this recipe can easily be tailored to suit your tastes or, just as simply, anything you happen to have on hand. Is it just me or has this summer just totally flown by? Maybe because it’s been the best summer yet (if you don’t know already I recently got engaged)! I’ve done tons of planning in my head… so far no definite plans or a date, but you get the idea. It seems like a really long time since I’ve written a post but between wedding planning, and working on my new online store (launching soon… hopefully) I’ve been ever so slammed. So friends, bare with me… I promise to post more in the upcoming weeks. 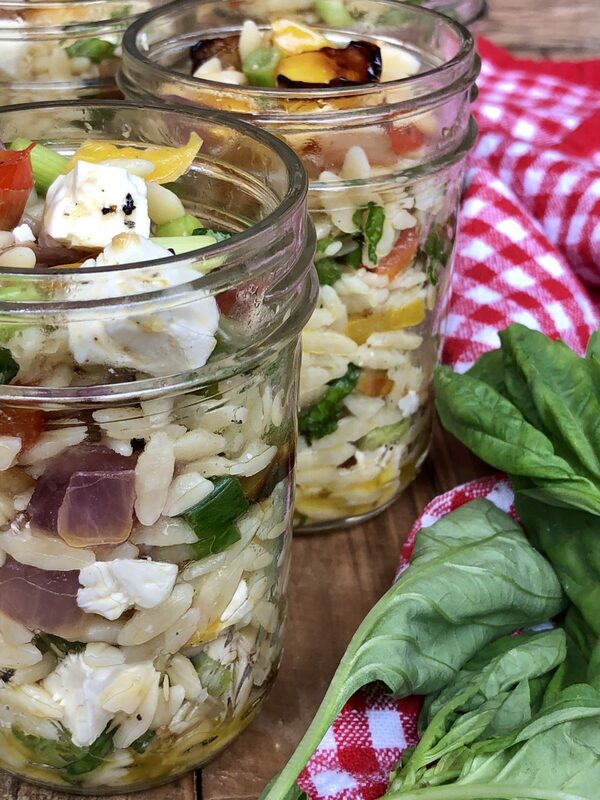 For now, enjoy this super simple orzo salad – I like to pair it with grilled chicken and a glass or rosé. Preheat the oven to 400 degrees. Toss the bell peppers, onion, and garlic with the olive oil on a large baking sheet. Roast for 30 minutes, until browned, turning once with a spatula. Add the roasted vegetables to the pasta. For the dressing, combine the lemon juice, olive oil, salt, and pepper and pour on the pasta and vegetables. Let cool to room temperature, then add the scallions, pine nuts, feta, and basil.